'World In Motion' is the debut EP from UK Melodic Rock band Atlas. A collection of 4 songs that showcase inventive guitar work, layered keyboards, soaring vocals, stacked harmonies and infectious melodies. The EP is a labour of love for the influences that shaped the band; from 80s Melodic Rock icons Toto & Journey, to modern rock era AOR like W.E.T, Work of Art & Eclipse. Available now from the band's store! You can purchase the CD and/or digital versions of the EP from just £3 via the store link below. 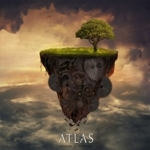 Join the Atlas discussion and like them on Facebook! What a fantastic release this is! My favourite tracks are "Change Of Heart" and "Lost In The Moment". I'm sure Frontiers Records will be snatching them up very soon!